Enter the date in a three letter and two number format. Example Mar04. This ring is limited to 5 characters total. 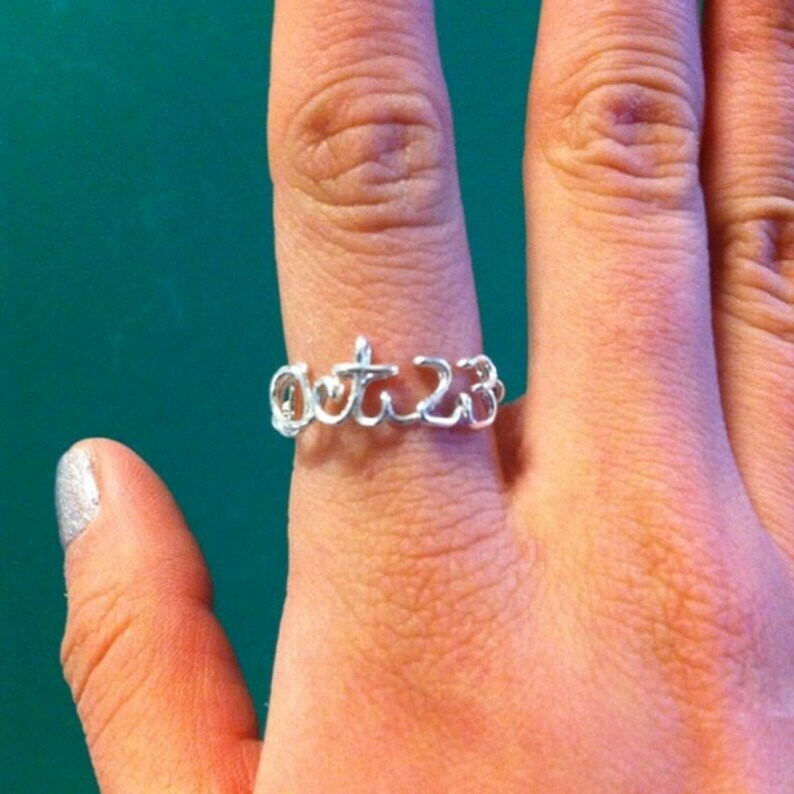 Save your favorite date in the form of a sterling silver or 14k gold filled ring! Jan, Feb, Mar, Apr, May, Jun, Jul, Aug, Sep, Oct, Nov, Dec with the two letter day following as shown in the photo above. Use them for anniversaries, first prom, birthdays, due dates, any special day you want to keep or give for a remembrance. My boyfriend loves it for our two year anniversary!! Thank you so much your work is amazing! !